The DS3508/ER industrial scanner from Zebra stands for excellent performance and robustness for 1D, 2D and image scanning in industrial environments of warehouses and production. It is equipped with the scan engine SE4500 from Zebra and a powerful 624 MHz microprocessor, reading information omnidirectionally from any angle in milliseconds and transmitting these to the host via the high-speed USB interface. Different models meet all scanning range needs and requirements: along with the standard version with SR engine, there are also versions for high-density, direct-part-marking and long-range. 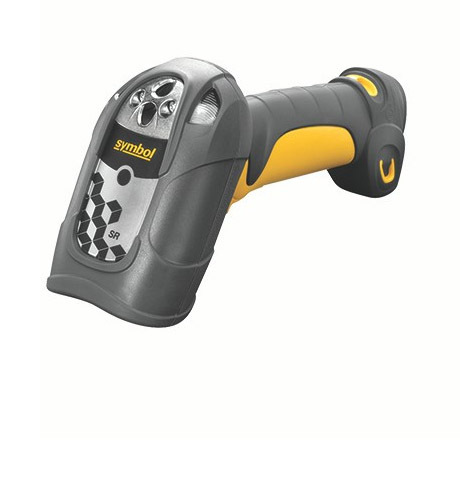 Intelligent features combined with the IP65 standard predestine the DS3508/ER for the toughest surroundings: an adjustable beeper and integrated vibration confirmation along with a bright LED notify you of a successful scan. Optionally equipped with Intellistand, the DS3508 is perfectly applicable as a freehanded scanner: it automatically switches from trigger to auto scan mode, making it particularly suited for frequent changes between the POS and warehouse, as well as for inventory, production or back-office applications.